Mexxi’s Restaurant and Catering is a vibrant staple in San Ramon. The owner, Enrique Gomez, has been serving up fresh and authentic Mexican food in the same location for 22 years. Enrique was practically born into the restaurant business, his family owns a couple of restaurants on the Peninsula and he loved it so much that went to culinary school. He wanted to open a restaurant of his own, keeping it a family affair, and opened up Mexxi’s with his cousin 22 years ago. Now he and his brother own and operate the restaurant and catering company. Serving up the authentic, fresh Mexican food is something that makes Mexxi’s unique. Enrique sources a lot of his ingredients locally, providing fresh ingredients to make his food full of flavor. Everything they prepare is made from scratch because they truly care about the food they serve. Enrique enjoys creating dishes that aren’t common in Mexican restaurants like the Filete de Pescado a la Veracruzana, a seafood dish that was created with Lent in mind. Almost every item on the menu has a cult following, some of the most popular items are the fish tacos, grilled chicken burritos and the tamales. Being a part of the community is very important to Enrique; he knows many of his diners. It’s a family operation and you always feel like family when you dine at Mexxi’s. You can also bring Mexxi’s home or to work with you because they specialize in catering large corporate and private events. Enrique brought his business accounts to Fremont Bank about nine years ago. The branch manager was a patron of the restaurant and one day he asked Enrique who he banks with. Enrique decided to not only shop locally, but bank locally too. He said “the service we get from the bank, it’s awesome, it’s like having a personal banker. After I switched, it was like why didn’t I do this before?” It’s a decision he hasn’t regretted. What’s next for Mexxi’s? Another location in a nearby city to bring their signature authentic, fresh Mexican food to more people, which sounds like a delicious idea to us. When we ask employees about their financial security, they tell us their number one stressor is not saving enough for retirement. After that, they worry about the economy and after that, their personal health. But when we ask them what defines a good lifestyle once they stop working and what is the most important factor affecting financial security in retirement, they place health at the top of both lists. Meanwhile, as another survey has found, retirees are feeling less confident that they will be able to afford medical care and long-term care. It’s hard to know how much savings will be needed to cover healthcare expenses in retirement. The conventional approach of estimating a lifetime total cost for healthcare expenses in retirement and targeting savings to cover that amount clearly does not work for everyone, as most people have difficulty saving for retirement at all. We believe that a different approach to planning for healthcare costs may work better for most employees and retirees. In collaboration with Vanguard, we have developed a new framework that helps pre-retirees and retirees better understand the financial planning implications of annual health care costs and long-term care expenses. Instead of a “big scary number” for the lifetime total cost, this framework considers healthcare costs (other than for long-term care) as annual expenses personalized to an individual’s health status, coverage choices, retirement age, and presence of any employer subsidies. 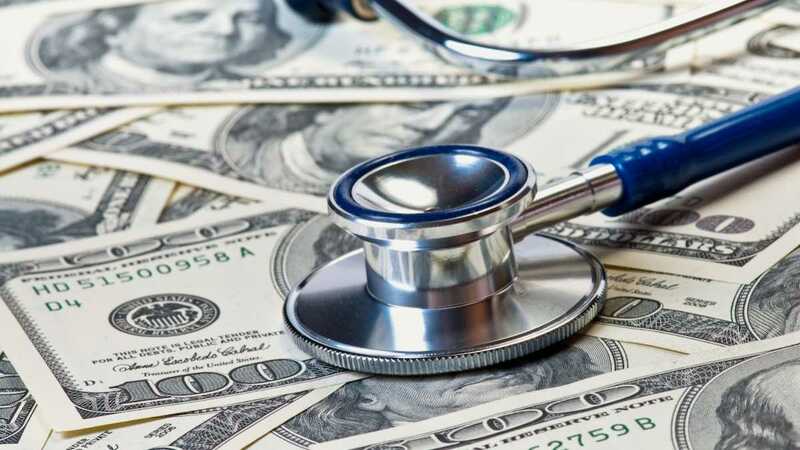 Additionally, the framework allows pre-retirees to compare their healthcare costs in retirement to their cost while working, with the key point being that retiree healthcare costs can be viewed as the incremental cost over what they currently pay. Once an individual understands their costs, they may need to save at higher rates to account for potential future incremental health care spending. Workers with generous employer health care benefits that may not be offered in retirement and those at higher risk of chronic conditions because of their family history or current health status should target higher replacement ratios. Long-term care costs represent a separate planning challenge given the wide distribution of potential outcomes. Half of individuals will incur no long-term care costs—but there is a small but meaningful risk that costly care will be required for multiple years. The model we have developed with Vanguard takes a fresh look at existing industry data, complements it with new findings, and builds a forecast that more clearly identifies variations in the estimated annual healthcare costs expected in retirement. We think this flexible, actionable approach to framing healthcare cost can lead to better planning and better outcomes for retirees. Given how important this issue is to employees, consider helping your pre-retirees better understand how their healthcare costs will change in retirement and actions they can take now to save for those costs appropriately (for example, in a 401(k) plan or health savings account). A particular concern for many employees is being able to retire before age 65 and becoming eligible for Medicare. A good financial wellness program should stress that access to affordable, comprehensive retiree coverage to bridge from the active plan to Medicare is a critical issue in retirement planning. Here’s what to know about the Nordic diet. You may have noticed there’s a new diet creating a lot of noise in the health and wellness scene. It’s the Nordic diet, and some nutritionists think it may be one of the healthiest ways to eat. The diet was constructed when health experts set out to find why, exactly, Northern Europe had lower obesity rates than the United States. The Nordic diet was developed based on the traditional cuisine found in Denmark, Finland, Iceland, Norway, and Sweden. How does it stack up against the Mediterranean diet? The Nordic diet is quite similar to the well-known Mediterranean diet. Both include plenty of freshwater fish, root veggies, fruit, and whole grains — such as oats and barley — and limit the consumption of red meat, dairy, sugars, and processed foods. The main difference is in the oily fats. While the Mediterranean diet suggests olive oil, the Nordic diet opts for rapeseed oil, aka canola oil. Both oils promote a healthy heart by boosting good cholesterol (HDL) and trimming away bad cholesterol (LDL). “Both are plant-based oils with high amounts of omega-3. Since canola oil has less saturated fat than olive oil, it is considered healthier, however, both have a different recommended use in the kitchen,” Dr. Nancy P. Rahnama, a bariatric physician based in Los Angeles, told Healthline. >For example, olive oil, which is higher in antioxidants, is more flavorful and is typically used for salads and toppings whereas canola oil can withstand more heat, so can be used when cooking and baking at higher temperatures. One of the main reasons dietitians have been so fond of the Nordic diet is because of all the research-backed health benefits it’s been linked to. The World Health Organization (WHO) found that both the Mediterranean and Nordic diets reduce the risk of cancer, type 2 diabetes, and heart disease. Other studies have revealed that the Nordic diet can lower systolic and diastolic blood pressure levels, normalize cholesterol levels, and help people lose weight or maintain a healthy weight. 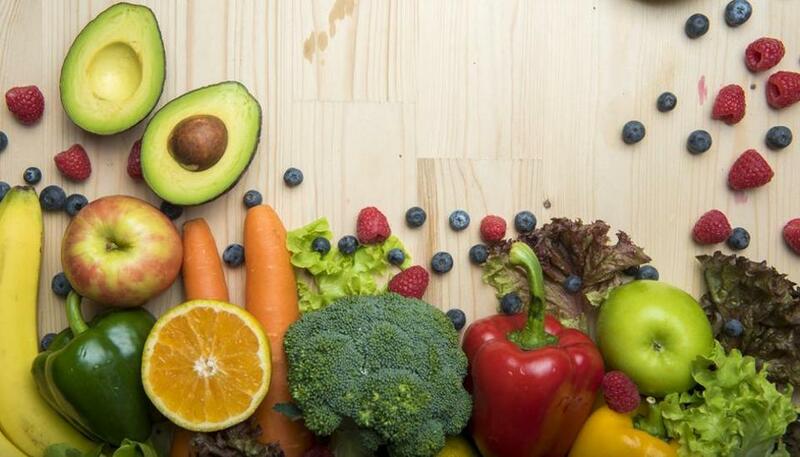 Additionally, because the diet is quite similar to anti-inflammatory diets — which traditionally consist of fruits, vegetables, lean protein, and healthy fats — it’s been shown to reduce inflammation in fatty tissues and, consequently, obesity-related health risks. It may even help women who are trying to get pregnant. Additionally, the Nordic diet is environmentally sustainable, as it focuses on the consumption of fresh, local ingredients. As a result, fewer greenhouse gases are emitted. “A large reason I like this diet is that it takes the focus off of calories and puts it on quality food,” Cadillac added. While the Mediterranean diet has been more heavily researched, growing interest in the Nordic diet has already found that the diet is just as healthy, if not more. Not to mention, because the Nordic diet focuses on consuming what’s in season, it doesn’t break the bank. Seasonal produce tends to be a bit cheaper, as it’s more widely available. So, if you’re looking to do some good for your body, the Nordic diet may be well worth a try. It’s packed with a ton of nutrients, vitamins, and minerals your body needs to survive and thrive. Is a faulty signaling mechanism in the brain area that processes emotion the reason that only a minority of those who drink alcohol become addicted to it? Researchers in Sweden and the United States suggest that this might be the case after studying alcohol addiction in rats. They found that the rats that became addicted had an impaired brain mechanism similar to that seen in postmortem brain tissue from humans who were addicted to alcohol. The amygdala is a region of the brain concerned with emotion, learning, memory, and motivation. In their study, they found that a similar proportion (15 percent) of the rats that were exposed to alcohol persisted with alcohol-seeking and became addicted. The rats continued to dose themselves with alcohol even when a “high-value” option, such as sugared water, was made available to them. Most of the rats switched over to sugared water when given the option, but the persistent minority continued to dose themselves with alcohol. This was in spite of the fact that pressing the lever to get the substance also delivered a slight electric shock to the paw. The team observed that the alcohol-seeking animals behaved in a similar way to humans who are addicted to alcohol. The rodents were highly motivated to get alcohol, even though there were negative consequences and another reward option. To confirm that the GAT-3 gene was at fault, the scientists ran another experiment in which they silenced GAT-3 in the rats that had switched over to sugared water in preference to alcohol. The effect was striking: the GAT-3 silenced rats began to behave similarly to their alcohol-seeking counterparts. When they were again given a choice between dosing themselves with alcohol or sugared water, they chose alcohol. The scientists believe that the findings will lead to improved treatments for alcohol dependence. An investigation into the potential of using the muscular tension drug baclofen to treat alcohol dependence has shown some promising results but has not been able to explain what the mechanism of action might be. Motion solutions are an integral part of modern industry. They help workers accomplish their tasks quickly and easily, and deliver high-precision outputs every single time. This leads to operational efficiency and in turn, cost savings and greater profitability, not to mention superior quality of products. 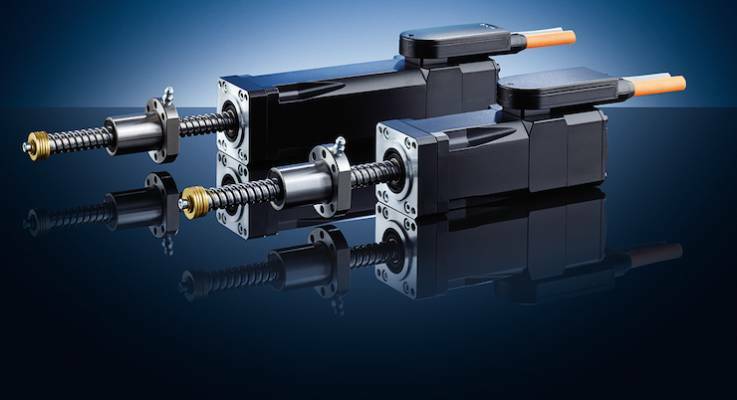 Among the most important components of motion, solutions are high-precision linear stages. Simply put, these are motor-driven platforms (or stages) that move a payload — an object that is placed on the platform or stage — in a single plane of movement with the highest amount of precision possible. The payload can be anything, say an item that needs to be processed like a circuit board, or a tool like a laser cutter. Why Are Linear Stages Important? Linear stages are essentially positioning devices — it places an object and/or another device in the exact spot where it is needed. These stages are provided extremely high-precision motions in a single axis, significantly decreasing runout. This is an important factor in various industries and applications like semiconductor manufacturing, photonics instrumentation, scanning probe measurements, and various scientific operations. Another critical role of linear stages is to provide repeatability of the required high-precision motion. Take semiconductor manufacturing, for example. Semiconductors have several tiny components, sometimes even in the micrometer and nanometer scale that need to be placed precisely onto the boards. Humans can definitely be trained to handle these materials, but it would be extremely difficult and would take a long time to master. What’s more, physical fatigue can result in inconsistencies. With the help of linear stages, such processes can be automated and thus ensure that each product meets the standard. Finally, linear stages are used to speed up tasks. Again, humans can perform such jobs but they are restricted by the limits of physiology. There are also various steps that humans must do before they can perform such tasks, like wearing the appropriate attire to comply with workplace safety standards as well as to protect the integrity of the product. With linear stages and motor systems, these extra steps can be eliminated. Indeed, these machines can perform the tasks that they are programmed to do as soon as they are turned on. There is no need to “warm up,” so to speak, or to perform other preparatory procedures. Speed, along with precision and repeatability, are important facets of mass production. Linear stages have become a mainstay in various industries because they also provide a host of other benefits. For example, an air-bearing linear stage is held up by an air cushion, which helps minimize mechanical contact between the machine and the component or product being processed. This eliminates friction and vibration, as well as wear-and-tear of the motion system itself. This further lowers the risk of runouts and minimizes the need for maintenance and/or replacement. Linear stages powered by linear motors, meanwhile, are largely considered the most precise of any linear stage set-up because they do not rely on mechanical components like belts or rack and pinions, which removes velocity disturbances from the equation. The lack of mechanical components also renders them almost maintenance-free, needing only about one to two minutes of upkeep for every six months of operation. This type of linear stage also has the encoders built right into the system. And by delivering the right amount of current to the motor, you can get the exact amount of force you need. A linear stage is just one of the many motion solutions available in the market. Depending on your business needs and production requirements, you may have to invest in other products like rotary stages or XY stages. You may even combine a linear stage with another motion system to provide a greater range of movement. However, by and large, linear stages can already offer the high-precision motion positioning necessary in various fields.